These Salty Oats - Fake Spring? I’ll Take it! 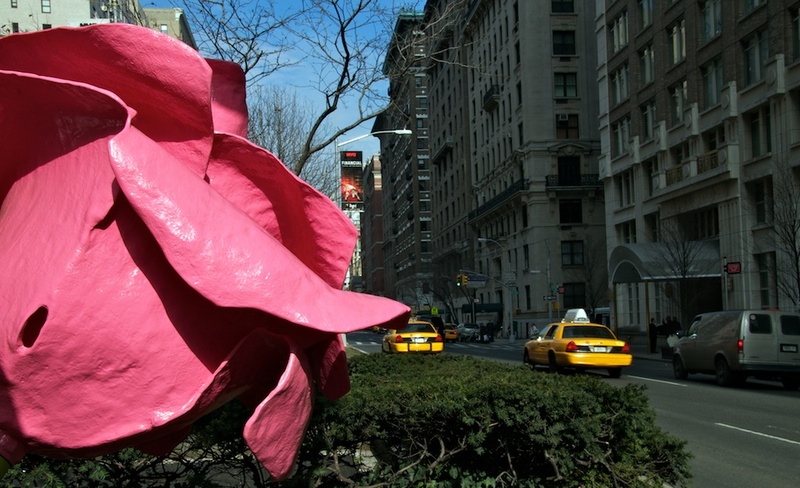 A few weeks ago I read that artist Will Ryman had created giant metal roses to line 10 blocks of Park Avenue. 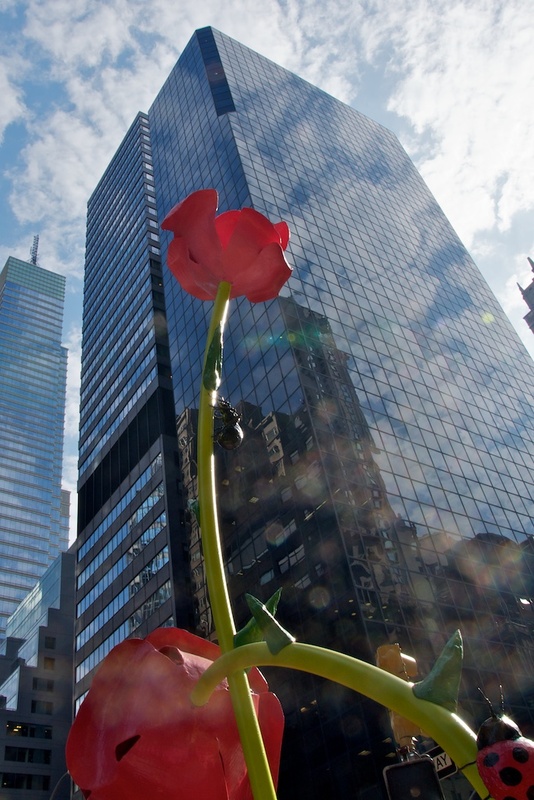 These roses were designed as a winter response to Park Avenue's stunning Spring and Summer flower displays. I promptly forgot about their existence until yesterday, when I walked from Midtown to the Upper West Side. As I stood waiting to cross Park Avenue, I suddenly felt a giant smile forming on my face. 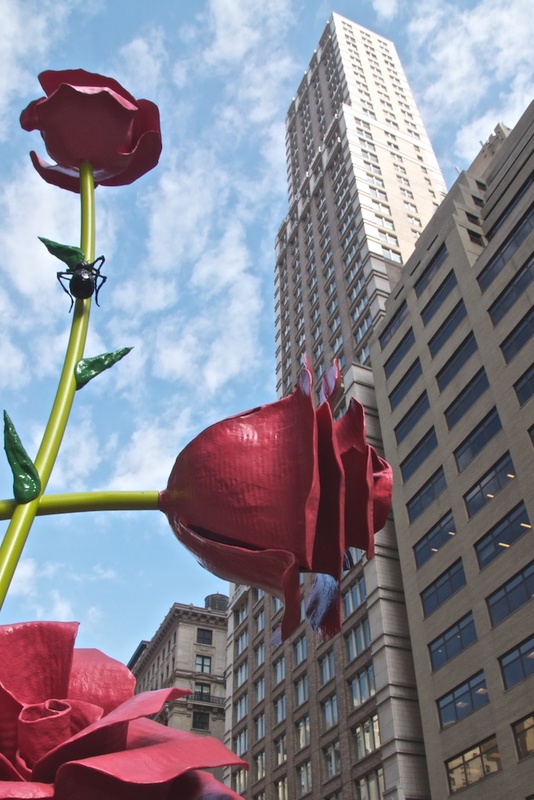 It was 60 degrees, the snow had nearly melted away, and I had unknowingly come face to face with these 25 foot tall stainless steel roses. As most people hurried across the street, I stepped into the median to get a closer look. 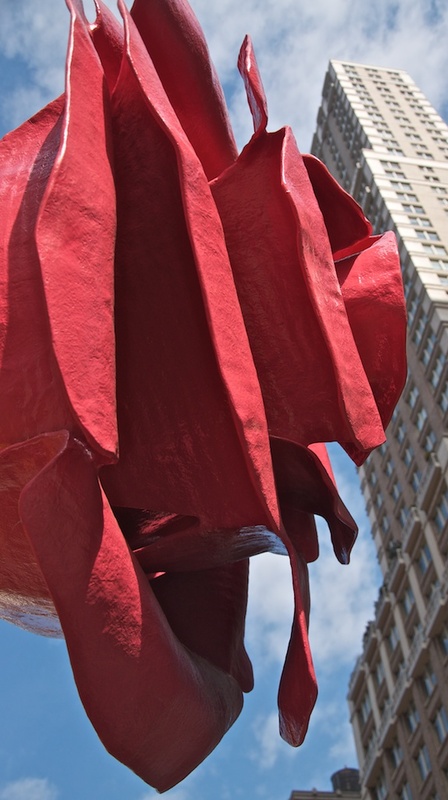 The roses are vibrant shades of pink, red, and green, painted using automotive paint and sealed with fiberglass resin. 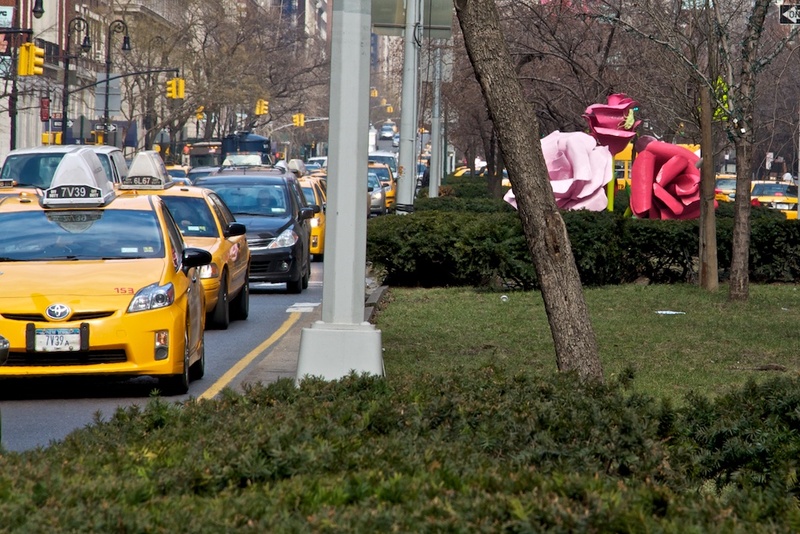 Whether I was looking uptown or downtown, mid-February's muted colors were replaced with a fun interplay of pink and green roses and yellow taxis. 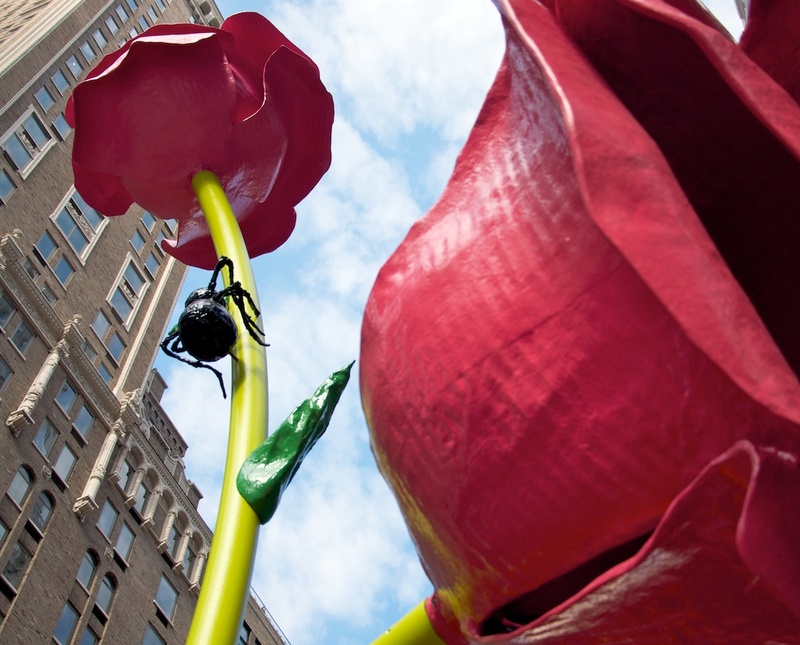 Ryman created 38 of these giant roses, ranging between between three and 25 feet tall. 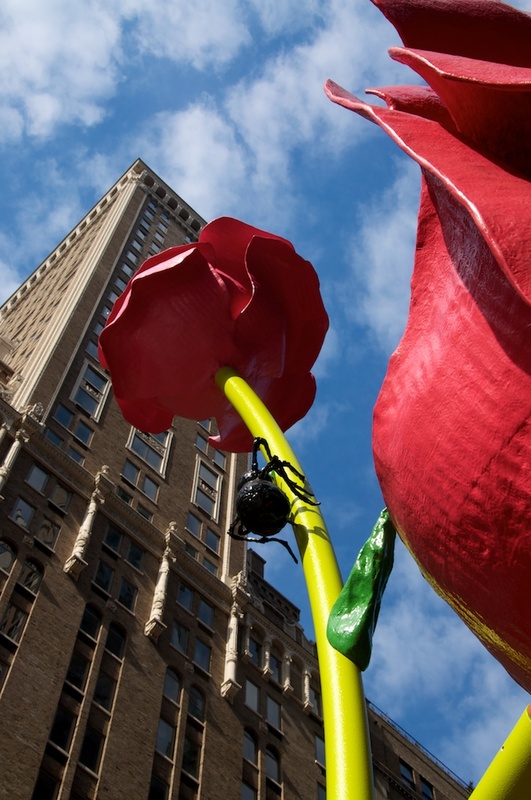 The roses will be on display until May 31st. Click here to learn more about Ryman's previous artistic endeavors and inspiration. Yesterday, we took advantage of the refreshing sunny weather to wander through Central Park.